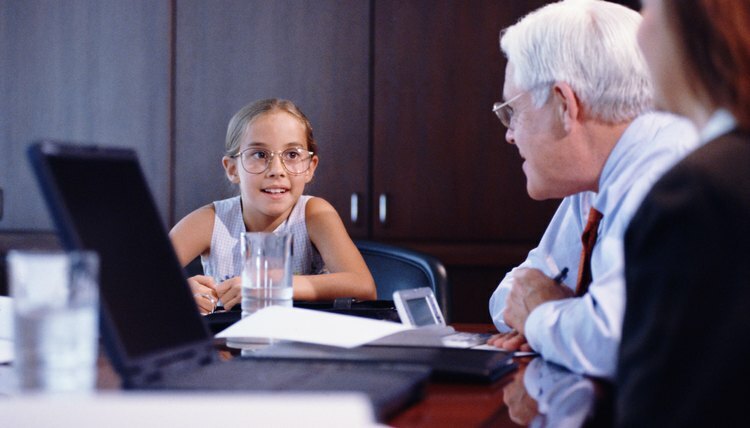 With or without specific statutes, most states do not set a definitive age at which a child is old enough to voice her opinion regarding which parent she wants to live with. In those that do, the magic number is often a teenage year; the older your child is, the more likely it is the court will listen to her. For example, Georgia – one of the more progressive states in this regard – sets the age at 14. Generally, however, it's incumbent upon the judge to decide whether a child is mature enough to have a reasonable opinion. A precocious 10-year-old might be permitted to voice her preference, while a learning-disabled 14-year-old might not be. Even if the court decides your child is old enough to be heard, her opinion may not be controlling on the judge's decision in your divorce case. Even in Georgia, which gives significant rights to teenagers, judges will override a child's wishes if they determine that the parent she's chosen is unfit for some reason. Most often, your child's wishes are just one of several factors that the judge will weigh when determining who she will live with. If both parents are equally capable of meeting the child's best interests, the child's preference could be the deciding factor. If most factors favor one parent over the other, however, this might overrule the child's wishes. Given that it's very difficult to force an older teenager to live somewhere she doesn't want to be, the opinions of older children tend to carry more weight. Custody disputes in divorce often put judges in the role of psychologist – they must not only hear what a child is saying, but figure out why the child is saying it. Certain underlying factors can convince a judge not to give any weight to a child's opinion. These include coaching – the parent has told the child what to say and may have even promised something in exchange. If one parent's home is significantly more lenient when it comes to discipline and this is why the child wants to live there, judges will take this into consideration as well. Conversely, if a child has strong, logical reasons for her preference, a judge is more likely to respect her opinion. It's highly unlikely that the court will ask your child to take the witness stand during your divorce trial, no matter how old she is. In most states, the judge will interview her in chambers. Parents usually cannot be present, but sometimes their attorneys are allowed to attend the meeting. In particularly contentious divorces, the judge may order a custody evaluation in which an evaluator will typically ascertain your child's feelings and pass that information on to the court, usually in a written report or through testimony. DADSDivorce.com: At What Age Can a Child Choose Custody? Smith, Welch, Webb & White: Divorce in Georgia – What About the Children?